I only have a few blushes in my makeup stash. I'm not really a blush kind of girl and have been satisfied of my NARS Multiple DUO in Maui/Palm Beach. But my NARS has finally retired after years of use and abuse so I got some blushes to replace it part of which these two from NYX. 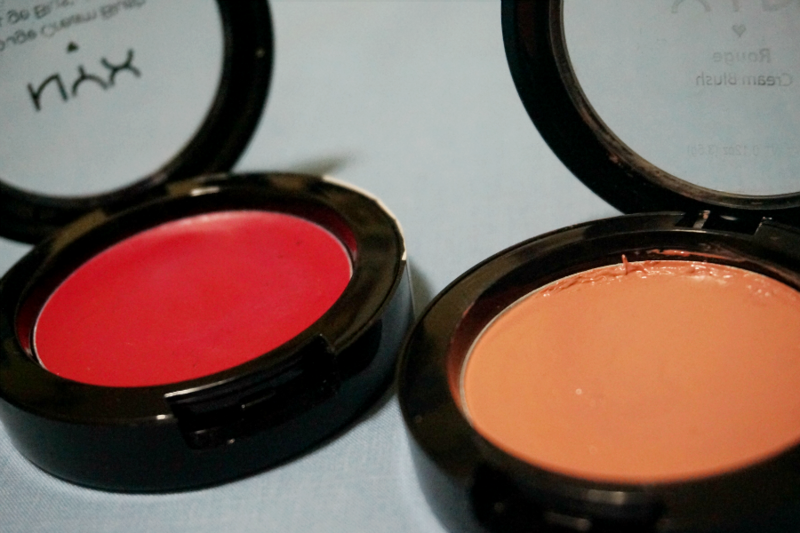 Both NYX Rouge Cream Blushes are smooth in texture. It's creamy without being too slippery so you can apply and blend easily without the color sliding off in areas you don't want it to. This blush has no glitter or sparkles. It applies matte but certainly not flat. Red Cheeks (CB07) - is described as red-pink but this looks definitely red. The color may be scary right off the pan but don't worry as this applies sheer. For the longest time, I wanted to try NARS' Exhibit A but could not bring myself to shell out Php 1500+ so I compromised with this. This one is so pretty. It adds just enough color to your cheeks for that flushed effect. This kind of mimics the way you look when you just finished doing a strenuous activity (exercising, sports, household chores), with the blood rushing through your head, and your cheek are burning. Hahaha, the upside is that you get the flushed, fresh look without getting stressed and sweaty. This is also very pigmented without being too tacky. 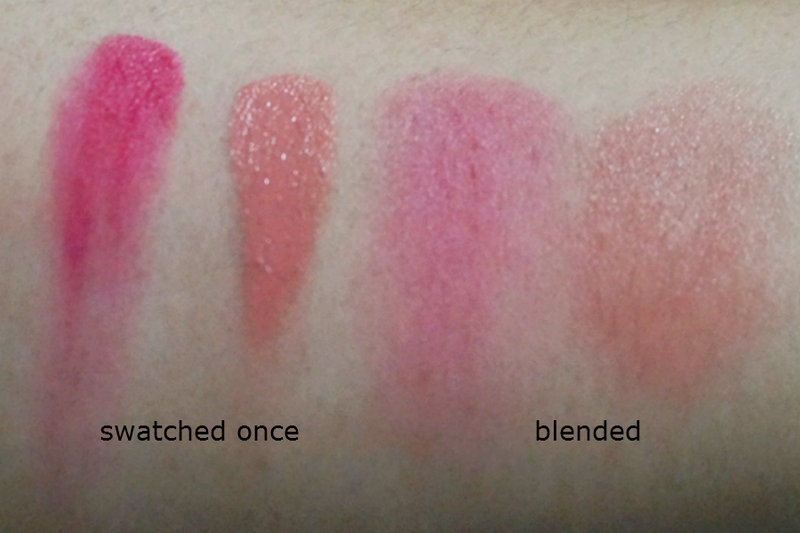 One swipe and then blended is enough to register the color. It's not as red on the skin as it looks in the pan, especially when buffed with a brushed. As with Red Cheeks, one swipe is also enough to give you good payoff. This color would be a great everyday blush and perfect for almost all makeup look. I like to stress that although the cream blush appears to have no glitter or frosted, this comes of as shiny when applied. 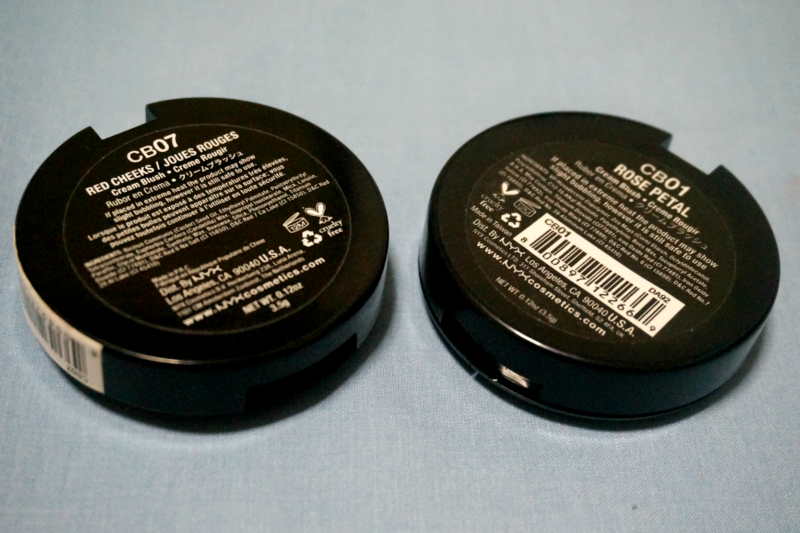 For those who want the dewy look, it's great but for those who want their blush matte, it's best to finish off with a setting powder to lessen the shine. 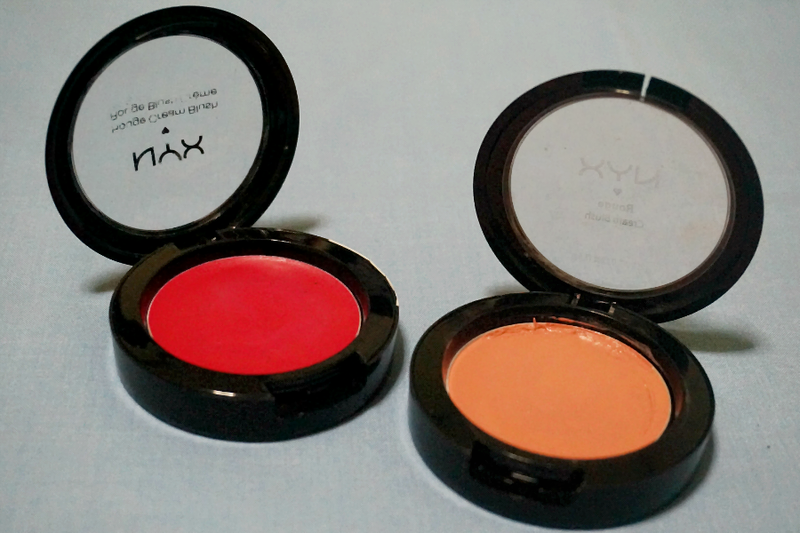 Overall, NYX Rouge Cream Blush in Red Cheeks and Rose Petal would be a great addition to your collection. 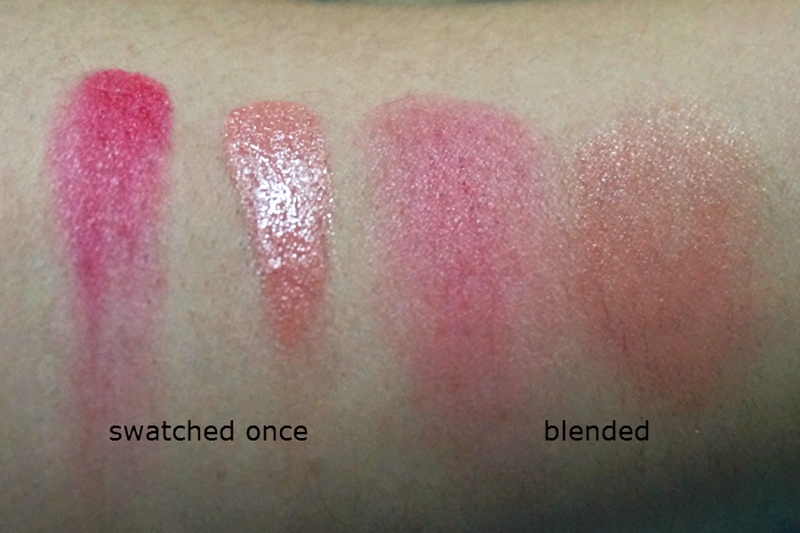 The colors off the pan maybe scary but both blushes are sheer and apply smooth and look natural on the skin. $6, Net weight 0.12 oz, 3.5 g / Php 280 bought online.